It's my last day at my parents house so my sister picked this up for me, it's my favourite! It's a layer of biscuit crust, creamy toffee, banana and topped with cream! Gonna go and eat this now! See you all tomorrow, either on here, on twitter, instagram or facebook! 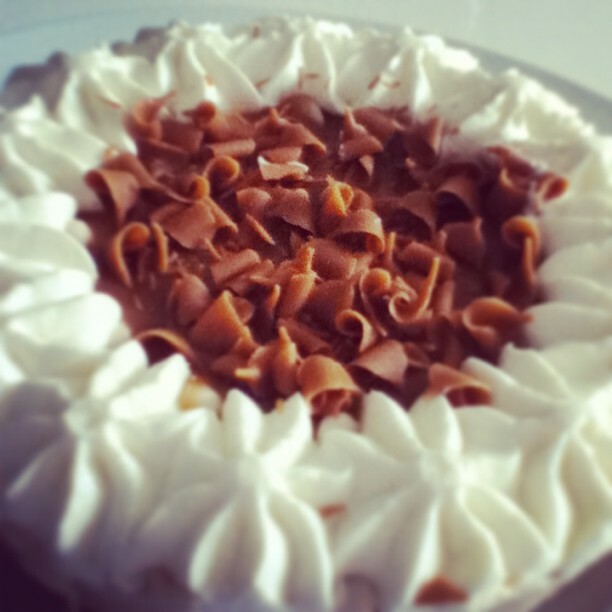 I adore Banoffee pie, it is like the greatest.